In the last week of August the Quaternary Research Association held their annual post graduate symposium. 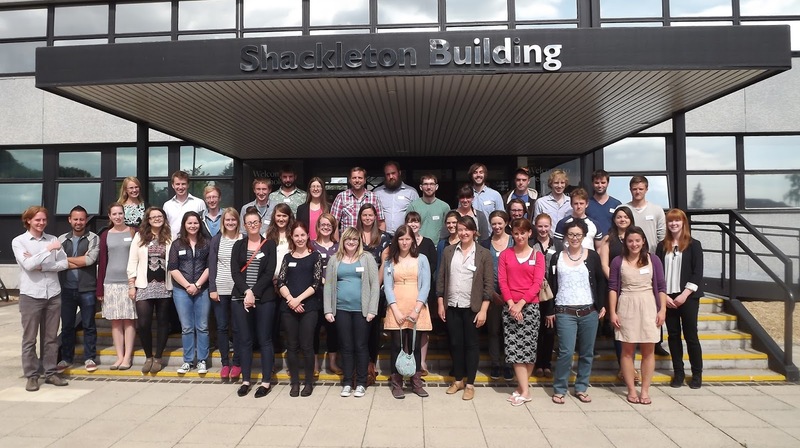 The symposium, held at the University of Southampton, was a meeting arranged by- and for only PhD and MSc students studying climate and environmental change over the last 2.6 million years (the Quaternary period). This relatively short (in geological terms) time period is characterised by multiple glaciations and the appearance and expansion of anatomically modern humans. The meeting involved only two non students, i.e. Prof. Iain Stewart and me, as the invited keynote speakers. While I waxed lyrical (as I usually do) about the usefulness of stable isotopes in palaeoenvironmental research (the #isotopesareawesome hashtag is still going strong), Iain talked about the importance of science communication and our duty as scientists to help deliver our messages in an interesting, coherent and even entertaining way to our non peers. In particular he highlighted social media as the way forward (Twitter, Facebook, blogs), these media are great for students as they allow for great practise and outreach. I tweeted his talk (!) and you can read all about it on my twitter feed or using the twitter hashtag #QRA13. The student talks (from a variety of geology, geosciences and geography departments across the UK) were fantastic with sessions on lake sediments, tephrochronology, palaeoenvironmental modelling, environment and human impact, peatland palaeoecology and dendrochronology. The best student presentation and poster went to Adam Griggs from Swansea (a Faroe tephra project) and Chris Darvill from Durham (boulders in Patagonia). But also congratulations to BGS and University of Leicester student Jack Lacey for his talk on the ICDP project on Lake Ohrid in Macedonia. The next symposium will be hosted next summer by Exeter University (and lead organiser is Nicole Sanderson). Many thanks to the organisers, Helen Mackay and Kim Davies (both of Southampton), who did a superb job!